The Backloading Company is for you! Whether your moving needs are large or small. We will get the job done! There is a reason we are called The Backloading Company. We dominate this name because we offer the best prices! Proven to save you dollars! Whether your moving needs are large or small. we offer the best backloading prices! Proven to save you dollars! The benefits of moving to South Australia are vast. 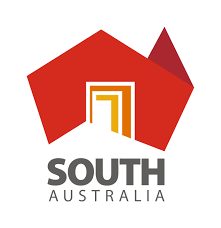 There are plenty of South Australian moving companies to choose from. Our removal process is straight forward and professional. Delivering a South Australian backloading removal service that is affordable and reliable. Our prices won’t break your budget because we provide cost effective moving solutions throughout South Australia. To start the process of moving to South Australia. We would like to help you out by providing a useful guide for packing and a what to and what not to do list. See below for details. We will then establish a list of goods you want moved. This helps us determine how much room your goods will require on a truck. After the list is processed and the backloading quote is submitted, you will receive a free quote. To ensure you get your preferred backloading moving dates it’s always a clever idea to inquire early. The Backloading Company are a preferred South Australian interstate moving company. Having operated for over 18 years providing interstate South Australian moving services for home or office furniture. The Backloading Company provide cost effective South Australian moving prices for everyone. 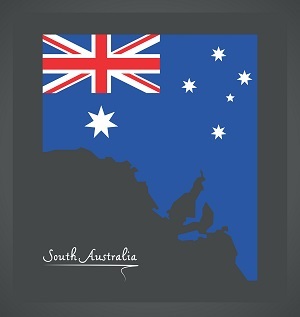 Inquire early to obtain your preferred South Australian moving dates. Are you in need of a cheap SA removal company? A South Australian removal Company with competitive prices? A removal company with duty of care that comes second to none? A South Australian Great Customer Service? Backloading/moving in South Australia from Marla to Coober Pedy, Coober Pedy to Oodnadatta, Oodnadatta to Marree, Marree to Mungerannie, Mungerannie to Innamincka, Innamincka to Roxby Downs, Roxby Downs to Andamooka, Andamooka to Woomera, Woomera to Quorn, Quorn to Port Augusta, Port Augusta to Whyalla, Whyalla to Port Pirie, Port Pirie to Crystal Brook, Crystal brook to Jamestown, Jamestown to Peterborough, Peterborough to Leigh Creek, Leigh Creek to Wudinna, Wudinna to Streaky Bay, Streaky Bay to Ceduna, Ceduna to Burra, Burra to Clare, Clare to Kadina, Kadina to Wallaroo, Wallaroo to Moonta, Moonta to Ardrossan, Ardrossan to Balaklava, Balaklava to Waikerie, Waikerie to Barmera, Barmera to Renmark, Renmark to Kapunda, Kapunda to Berri, Berri to Loxton, Loxton to Freeling, Freeling to Nuriootpa, Nuriootpa to Angaston, Angaston to Tanunda , Tanunda to Gawler, Gawler to Lyndoch, Lyndoch to Angle Vale, Angle Vale to Williamstown, Williamstown to Adelaide, Adelaide to Woodside, Woodside to Lobethal, Lobethal to Bridgewater, Bridgewater to Hahndorf, Hahndorf to Nairne, Nairne to Mt Barker, Mt Barker to Murray Bridge, Murray Bridge to McLaren Vale, McLaren Vale to Strathalbyn, Strathalbyn to Tailem Bend, Tailem Bend to Aldinga Beach, Aldinga Beach to Willunga, Willunga to Sellicks Beach, Sellicks Beach to Port Elliot, Port Elliot to Victor Harbour, Victor Harbour to Goolwa, Goolwa to Keith, Keith to Kingston SE, Kingston SE to Bordertown, Bordertown to Naracoorte, Naracoorte to Robe, Robe to Millicent, Millicent to Penola, Penola to Mount Gambier.